The ZIEX ZE914 ECORUN is the next generation, high-performance tyre made for Australian roads. Engineered for performance and cost saving fuel efficiency, the low rolling resistance compound offers more mileage and better wet braking. 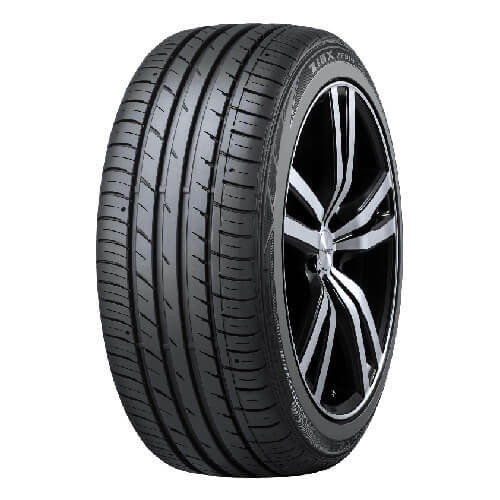 The tyre features an asymmetric tread pattern with four straight and wide circumferential grooves for hydroplane resistance. The high-rigidity rib construction provides good wet and dry braking stability. Slots and sipes can be found throughout the tyre, optimised for even tread wear, comfort and traction. Ensures an even footprint for longer tread life. Low rolling resistance with better wet braking. Large shoulder blocks for improved cornering. WHY BUY FROM CANTERBURY TYRES? Largest range of quality products, over 2,000 alloys and 1,000 tyres in stock at all times. Visit our showroom at 172 Canterbury rd Bayswater Nth.